We’re halfway through November (how did that happen?!) 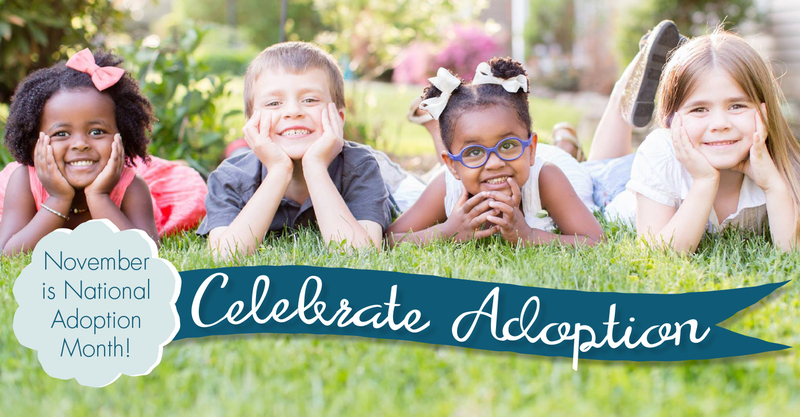 and I can’t let this month go by without acknowledging that its National Adoption Awareness Month! I was not aware that there was such a thing, until this year, so now I have to enlighten everyone else. I always thought adoption was a wonderful thing, and considered it even before I was aware of my infertility. I always thought I might have a child or two, then adopt another. In all honesty, adoption may be the road we decide to take for parenthood. We’re really having some heart felt and real conversations about parenting, the IVF process and all that comes with it, and what we think we can handle financially, physically, and emotionally. I feel like adoption is really a special kind of love, because you actively choose to love someone that you don’t have to. To decide to bring a child into your home and into your family, and love them is a noble thing. I have known several people and have a close friend who was adopted, and one friend who is the mother of an adopted child. All of them are awesome people. If they never told me that they were adopted, I would have never known. The love, respect and bond is just as strong as any biological family. Take November to learn more about adoption and explore adoption as an option for family building.